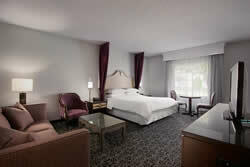 Anaheim Majestic Garden Hotel provides the most spacious and largest hotel rooms in the area, averaging 500 square feet! 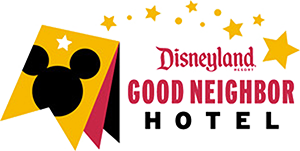 Plus, as a Disneyland® Good Neighbor Hotel we offer a plethora of room and suite styles to fit your family and your budget. 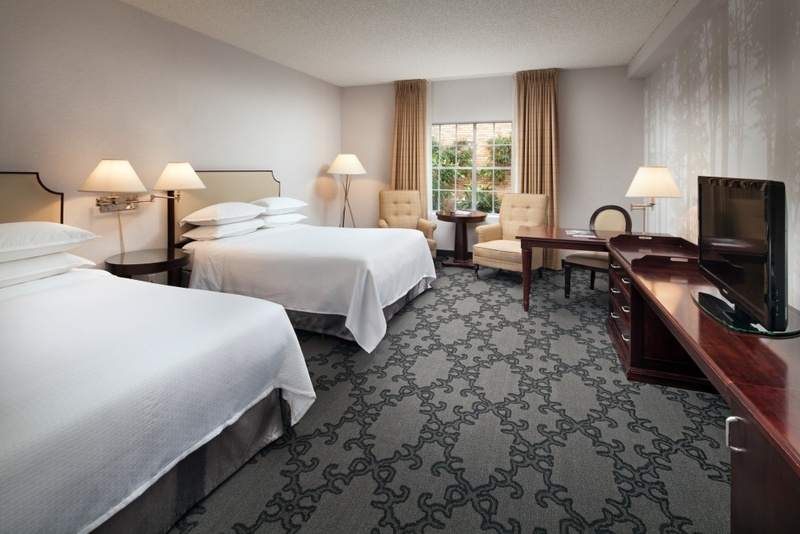 Located across the street from the Disneyland® Resort in Anaheim, CA, our rooms are the perfect home away from home for any vacation, business trip, or group event! Standard Hotel Rooms – The Standard hotel room comes with either one King or two Queen beds. Rooms are light and airy with warm, buttery tones and dark wood accents. 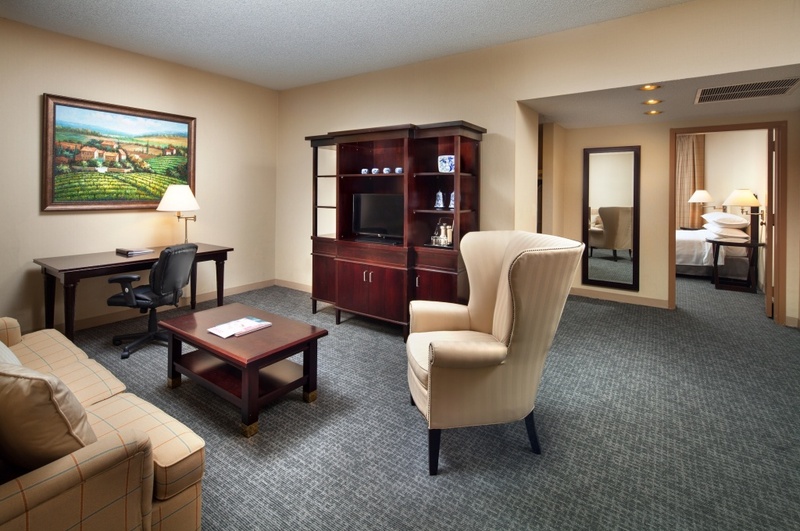 Our extra spacious King-bedded rooms also have a Full-Size Sleeper Sofa. Castle Hotel Rooms – The Castle room also come with either one King or two Queen beds. The Castle rooms feature a cool, soothing color palette with elegant plum accents and castle-inspired decor reminiscent of the Renaissance days. 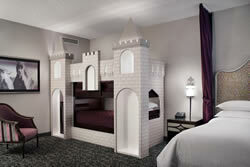 Castle Bunk Rooms – The Castle Bunk rooms provide a Queen bed and bunk beds to accommodate the whole royal clan. Your kids will love the fun and adventure of drifting off to sleep in their very own castle. These hotel rooms are newly renovated, roomy and truly magical. Turret Suite – Two Turret Suites styles feature a convenient separate living room with sofa, armchairs and entertainment center. Attached is a stately bedroom with King-sized bed. Our chic and renovated Turret Suite is adorned with elegant plum draping fit for a king or queen. Royal Junior Suite – The Royal Junior Suite is an extra-large hotel room to ensure plenty of space to relax and move around. Two Queen beds and a Queen Sleeper Sofa provide sleeping space for the entire royal family. Majestic Hotel Suite – The Majestic Suite is a bi-level suite offering the greatest privacy and convenience for visiting royalty. A King bed and private bath upstairs allow you to entertain downstairs in comfortable living area with a separate bathroom. Hotel rooms are well equipped with all the features and amenities that make you feel like royalty and include free WiFi. We have the right hotel accommodations to fit your stay in Anaheim, CA. Contact us today to book your room.